I was spoilt for choice when putting this feast together as there are so many delicious options! 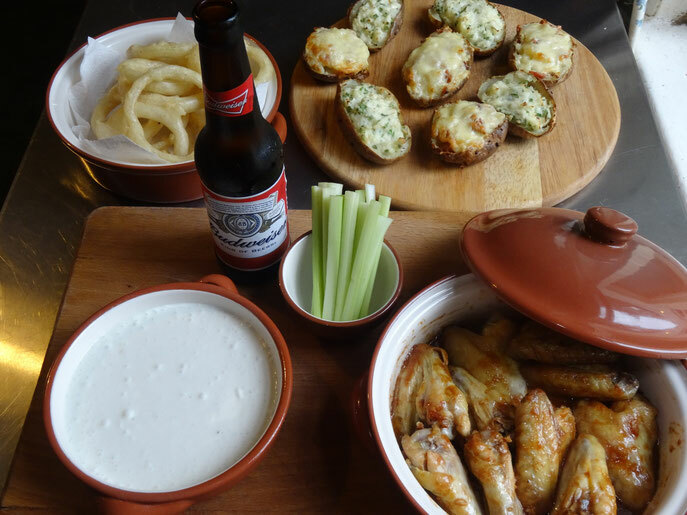 I finally chose wings & onion rings as they are Mr W's favourites & I am rather partial to loaded potato skins! 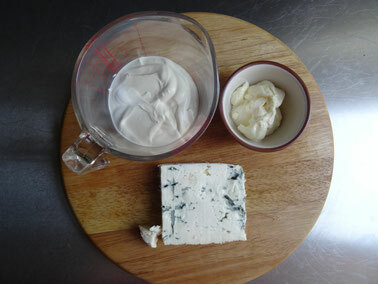 100g blue cheese-of your choice, I used Tesco Value at 72p for 100g! 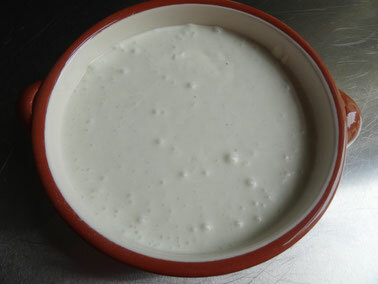 Mash the cheese into the soured cream & mix until smooth. Add the mayo & lemon juice & mix well. 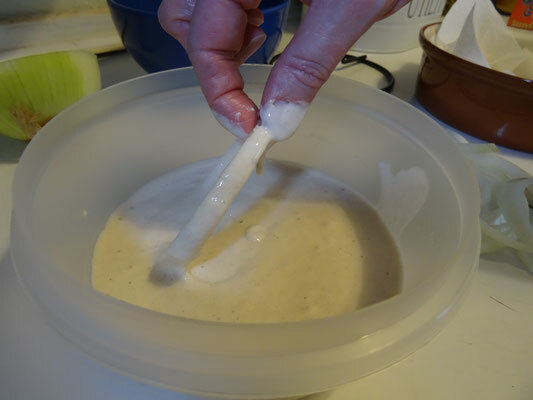 Alternatively put everything into a blender & whizz until smooth. Prick the potatoes all over with a skewer or a fork. 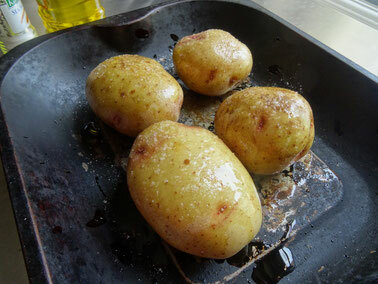 Place into a baking tin, drizzle with oil & sprinkle with salt. Place the bacon onto a baking tray. 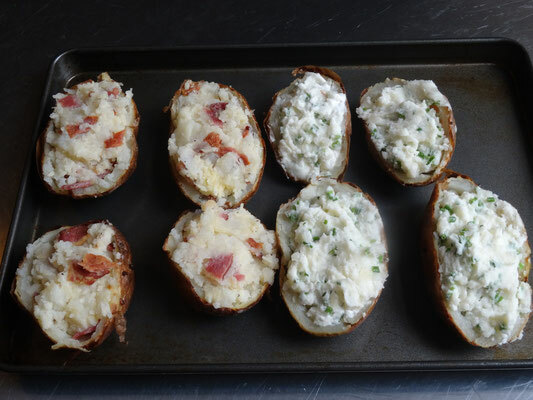 Place both into the oven-the bacon for 20-25 minutes & the potatoes for 1hr-1hr 30 minutes. 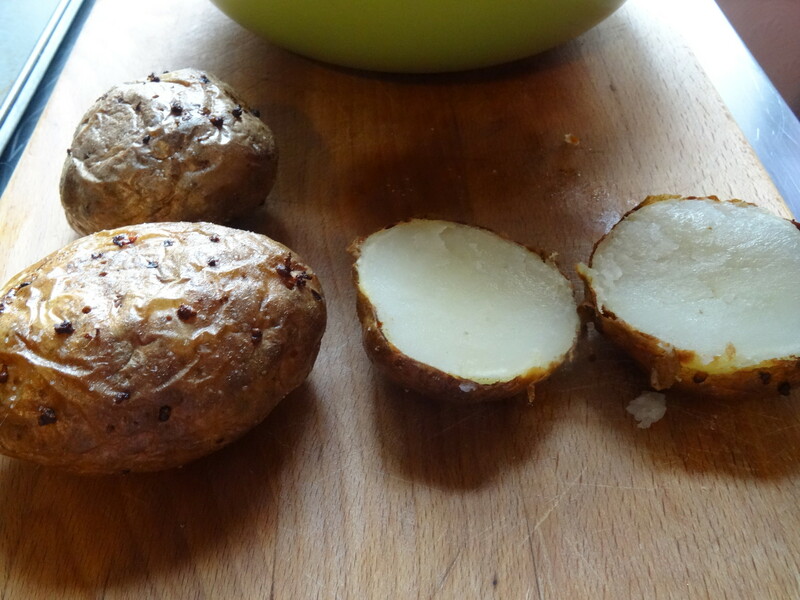 A skewer or tip of a small knife should go through the potatoes once cooked. Allow the potatoes to cool. Break up the bacon into small pieces. 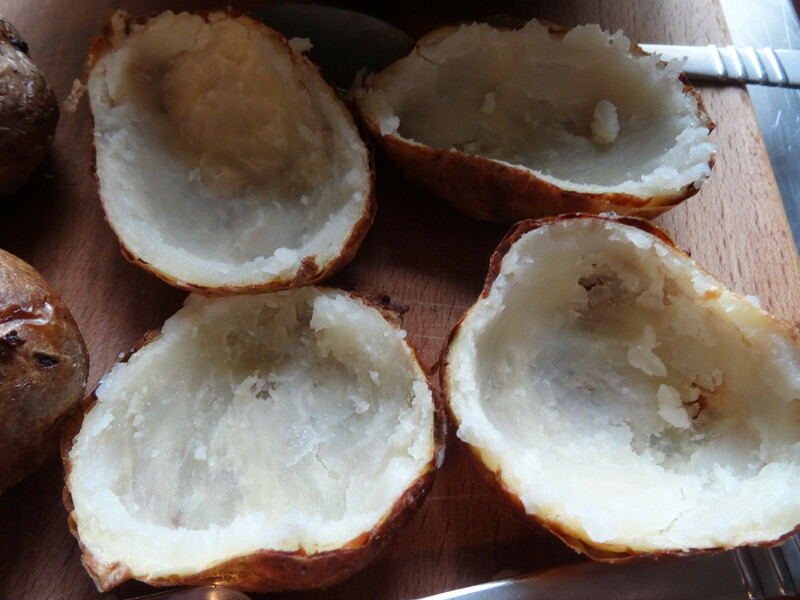 Cut the potatoes in ½. Take 4 halves & scoop out the middle into a bowl. 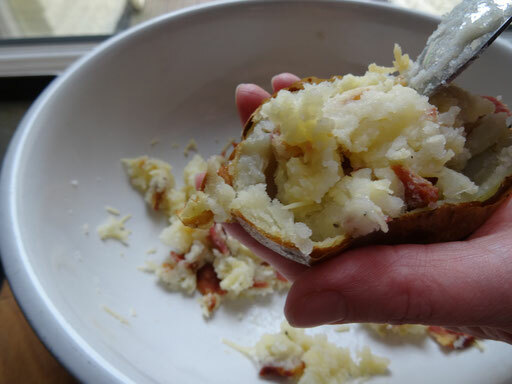 Mash the potato & season then add 50g of the cheese & the chopped bacon & mix well. Spoon the mixture back into the shells & place on a baking tray. 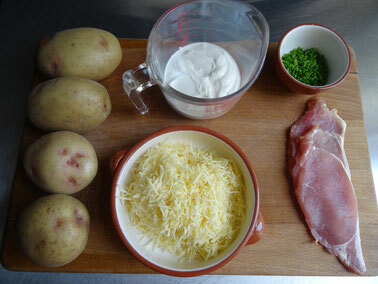 Repeat with the rest, this time mixing the potato with the soured cream & chives. The potatoes can be covered with cling film & set aside at this point until ready to cook. When ready to cook sprinkle the remaining cheese over the cheese & bacon halves & place in the oven for 20-25 minutes at 200C/180Fan/Gas6. 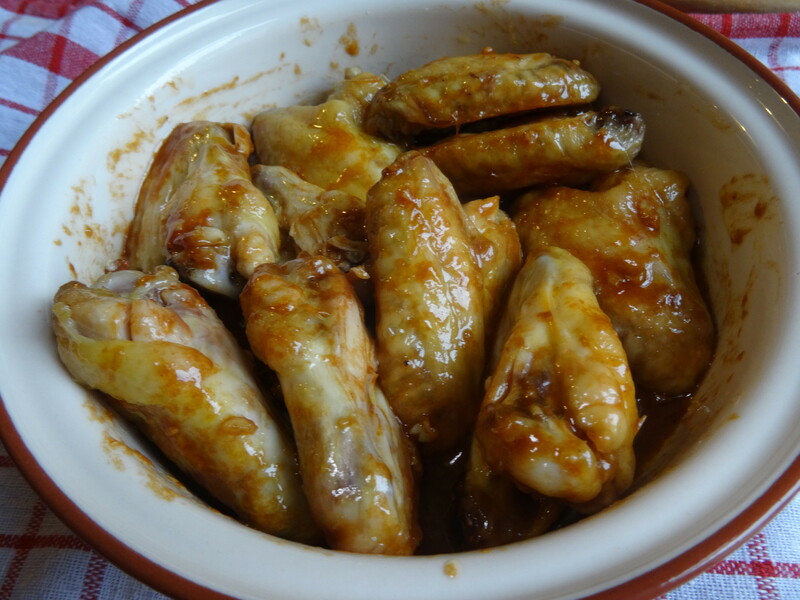 I buy chicken wings from the butcher for about £3 a kg. 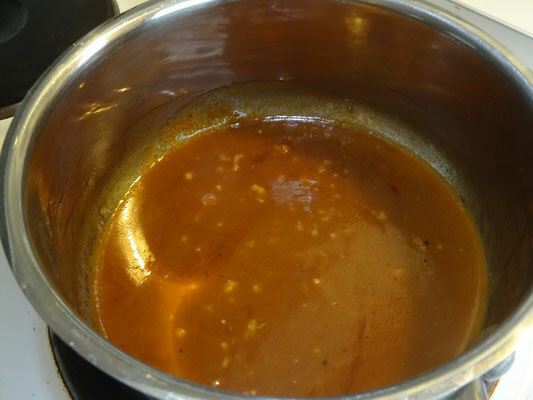 The ingredients for the sauce are all things you can keep in your store cupboard! Add a pinch of Cayenne pepper to the sauce if the Tabasco isn't enough heat for you! Meanwhile make the sauce. 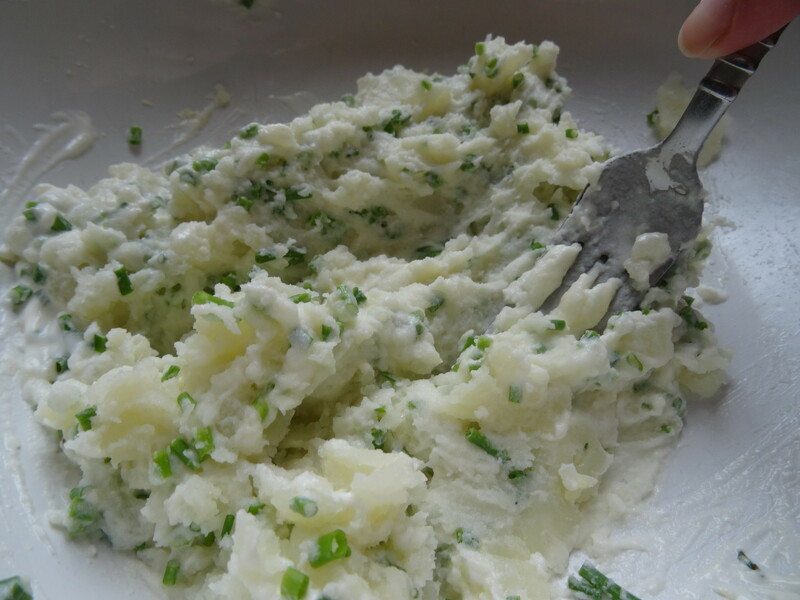 Melt the butter in a saucepan along with the ketchup, Worcestershire sauce, Tabasco, garlic & a pinch of salt & pepper. 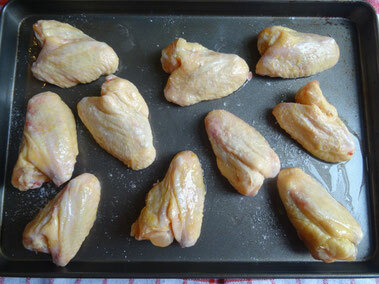 Remove the wings from the oven & transfer to a serving dish. 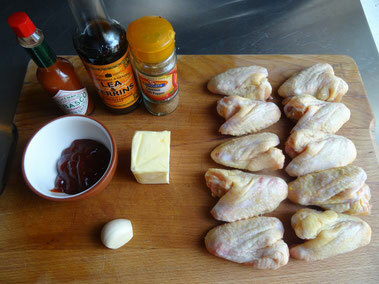 Pour over the sauce & toss well to coat the wings. Keep everything warm while you make the onion rings. Once you have made these you will never go back to shop bought! 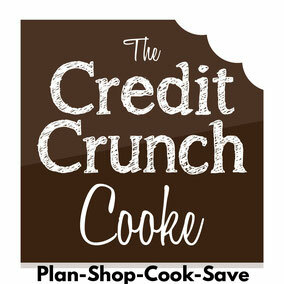 The secret to their crispiness? Fizzy water! Sunflower oil is best for deep frying as it has a high smoking point, you can use a deep fryer if you have one. Mix the flour & water together along with a little salt & pepper to make the batter. Allow it to stand while you heat the oil. Fill a wok or deep, wide saucepan with sunflower oil no more than halfway. 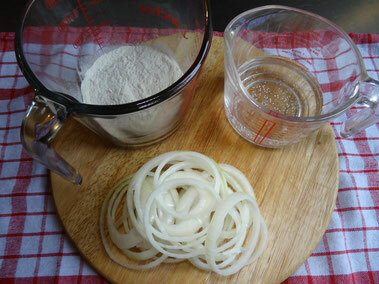 Heat to 180C or use a cube of bread to check-if it sizzles & comes to the surface it's ready! 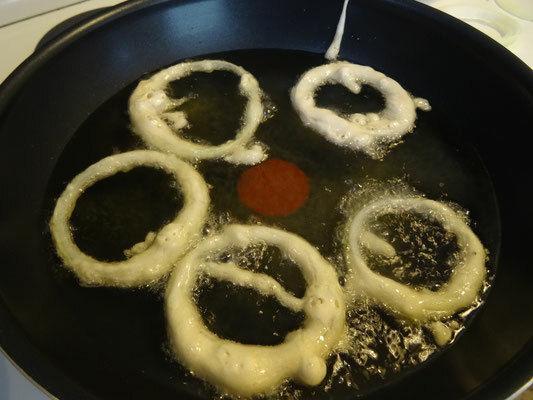 Dip an onion ring into the batter then CAREFULLY drop it into the oil to avoid splashing. Repeat with the other in batches until golden. 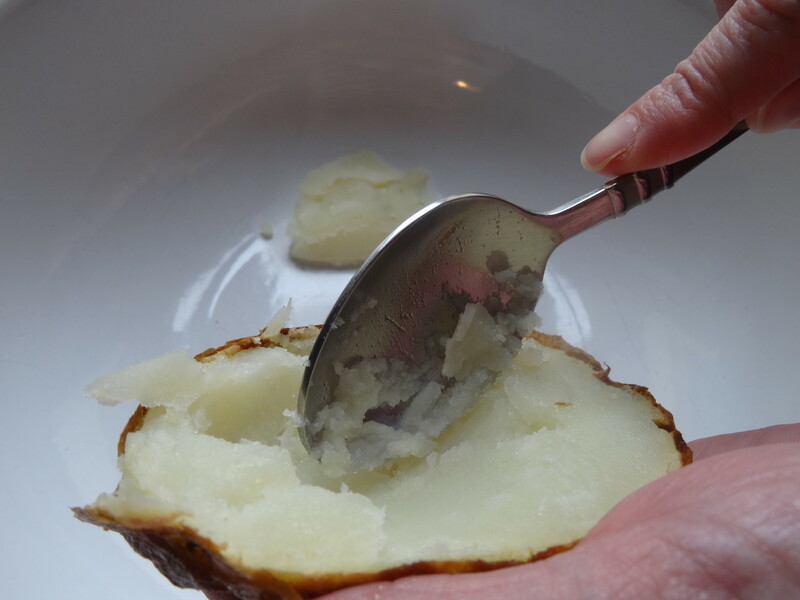 Remove with a slotted spoon & place in a bowl lined with kitchen paper. Serve immediately with the rest of the feast! !